Upon completion of the VETRN program, the veteran small business owner will have completed and have vetted by industry, banking, sales and marketing, venture capital and other professionals, a three year strategic growth action plan that will provide him / her with every opportunity to be successful in growing his or her business. VETRN has found, based on its experience in running this program, that it is critical for the veteran business owners to be assigned mentors from day one of the program. Mentors are carefully chosen based on industry background, financial and operational management skills, personality / ability and desire to see their Mentee succeed. Many of the Mentors attend classes with their Mentees and continue to coach them after the completion of the program. Veteran business owners have greatly appreciated being able to attend a class with other veteran business owners to share similar experiences and to have a mentor who is an experienced finance professional or business owner from their industry working with them, including the ability to receive feedback concerning business issues and concerns that keep them up at night. VETRN is accepting applications from prior service veterans and / or a family member, who own a small business in Mass. Rhode Island, New Hampshire or Maine, to attend a program in entrepreneurship, exclusively for veterans, which is free of tuition. Veteran business owners and family members who apply must have demonstrated a desire and commitment to grow their small business and become successful. They must have been in business for at least one year, have at least one additional employee and have a minimal annual revenue of $75,000. 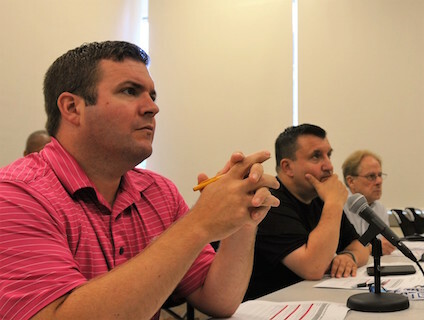 In September 2014, VETRN started its first class in business entrepreneurship for a cohort of veteran participants at Northeastern University. 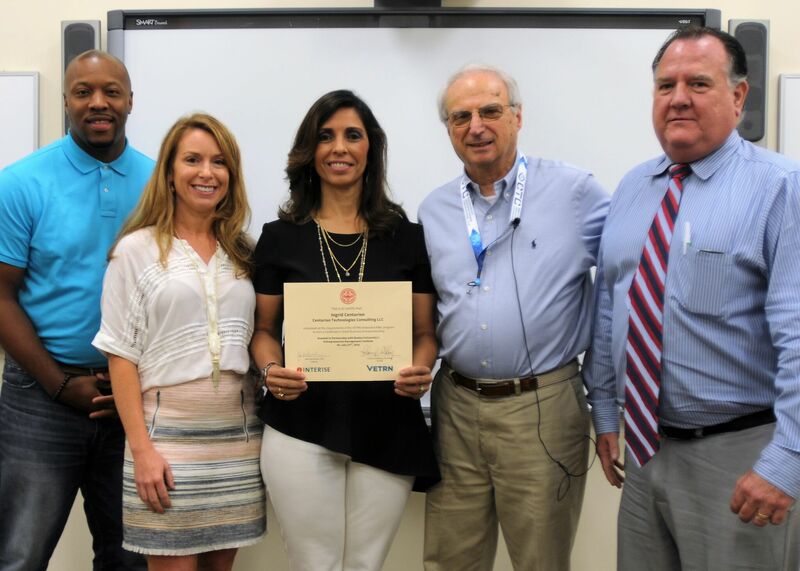 Following its initial success, VETRN has now completed its fourth cohort and has graduated over 40 veteran small business owners from its VETRN Streetwise ‘MBA’ TM program. 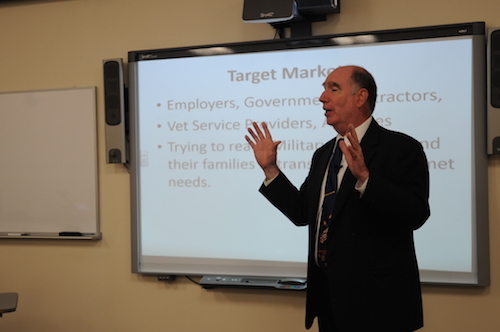 This program teaches veterans how to successfully grow their small business. The program has been held at Dean College in Franklin, MA. Every veteran who has attended the VETRN program has had a mentor assigned to them from day one and has been provided access to the VETRN professional resource network, legal and finance community. The program has been a significant success and is well-received by all veterans and family members enrolled in the program. VETRN has an Exclusive Arrangement with Interise, a large Boston-based nonprofit, to teach the nationally-recognized, award-winning StreetWise ‘MBA’™ program to veteran cohorts. Interise now teaches a similar program nationally for the Small Business Administration. VETRN is making the StreetWise ‘MBA’™ curriculum available for veterans and family members to gain the business knowledge, management know-how, and relationships they need to grow their own small business and be successful. Participants who attend this program will emerge with successful, growth-oriented business strategies, after having completed over 100 hours of combined peer-to-peer mentoring, work assignments, and classroom training. The program focuses on areas that are vital to small business success, including financial and cash flow management, sales and marketing, human resource management, networking and contacts, financing, accessing sources of capital and government contracts. Since 2004, Interise has been the go-to-partner with a proven model for accelerating economic and small business growth worked with partners to bring the StreetWise ‘MBA’™ to over 3,000 established small businesses in over 60 communities. In 2013 alone, business owners completing the StreetWise ‘MBA’™ program experienced an average increase in annual revenue of $486,000, received an average of $75,000 in new financing, and created new jobs at an average rate of 5x the rate of the private sector as a whole. VETRN, in providing every opportunity for veterans to be successful, is making available resources not commonly available to small businesses. Every business must deal with a host of issues, including the need for startup capital or bank financing, dealing with accounting or legal issues, finding the right kind of employees, or learning how to get things done. That’s why we are tied in to a large network of professionals in the finance, legal, banking and business community with the type of resources you will need to be successful. These resources include attorneys, CPA firms, venture capitalists, investors, bankers, industry executives, corporate managers, business consultants, corporate CEO’s and CFO’s and others. Hear from a recent graduate, Josh Smith, on the VETRN program and his experience. The VETRN program includes mentoring support, guest lecturers in every class who come from the sales & marketing, business, finance, accounting, real estate, banking and legal communities, access to financing sources and a referral network of professionals who can provide services on a pro bono basis.